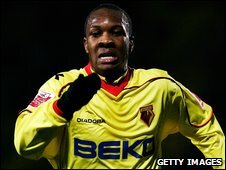 Brighton have completed the signing of Arsenal defender Gavin Hoyte on a one-month loan. The right-back comes in to bolster Seagulls manager Russell Slade's defensive options as Andy Whing is out injured and Adam El Abd suspended. The 19-year-old signed a new long-term contract with the Gunners in December 2008, before spending the second half of the season on loan at Watford. Hoyte is the younger brother of Middlesbrough defender Justin.